"Enthralling . . . Captain Kidd practically swaggers off the pages of this rich, riotous bio." -Time"Entertaining, richly detailed and authoritatively narrated, Zacks' account of the life of legendary seaman William Kidd delivers a first-rate story." -Publishers Weekly"Zacks fills our minds with the sights, sounds, and even the smells of the seventeenth century... A lively, educational, thoroughly spellbinding trip back in time." 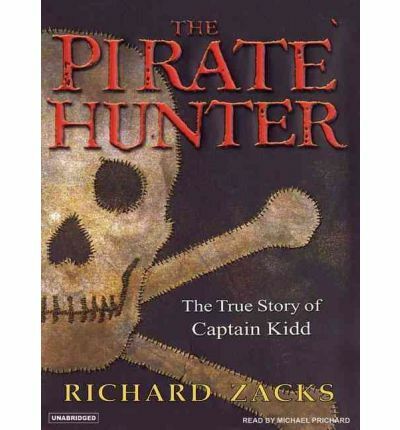 -BooklistCaptain Kidd has gone down in history as America's most ruthless buccaneer. However, Captain William Kidd was no career cut-throat; he was a tough, successful New York sea captain who was hired to chase pirates. Across the oceans of the world, the pirate hunter, Kidd, pursued the pirate, Culliford. One man would hang in the harbor; the other would walk away with the treasure. The Pirate Hunter is both a masterpiece of historical detective work and a page-turner. About the Author: Richard Zacks spent more than three years researching The Pirate Hunter, including months at the Public Record Office in London (where he found a pirate prisoner's long-lost diary). Zacks is the author of two previous books of unusual research: the bestselling History Laid Bare and perennial book club favorite An Underground Education. He lives in Pelham, New York.Narrator Michael Prichard is a Los Angeles-based actor who has recorded more than 350 audiobooks including novels by Clive Cussler and Tom Glancy. He recently was named one of Smart Money's Top Ten Golden Voices.